Tahini is like sophisticated peanut butter in my opinion. I grew up eating more tahini than peanut butter, then stopped for a while and now I’m obsessed again with all things tahini. My latest fave is Tahini Milkshake. It’s basically a doozy of a dessert! 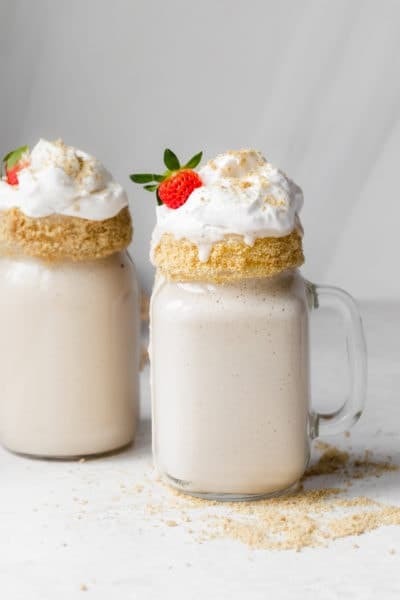 It reminds me of a decadent childhood milkshake, but it’s made with good-for-you feel good ingredients! Tahini: It’s tahini milkshake so this part is kinda mandatory. Like peanut butter, the nutty taste cuts through the sweetness of the milkshake to balance out the flavor. 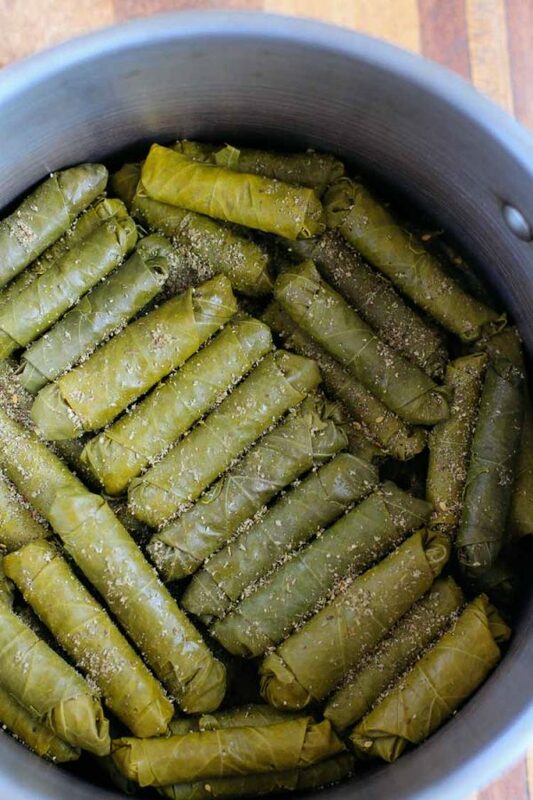 Look for tahini with only one ingredient – mechanically hulled sesame seeds. And make sure the tahini is not separated. If it does get separated in the jar, you can stir well before adding it to the blender. Bananas: These can be fresh or frozen, but make sure they are ripe since we are not using any sweeteners with this recipe. If you prefer not to use bananas, you can substitute other fruits. To keep that Middle-Eastern milkshake vibes, I highly recommend making it with dates. 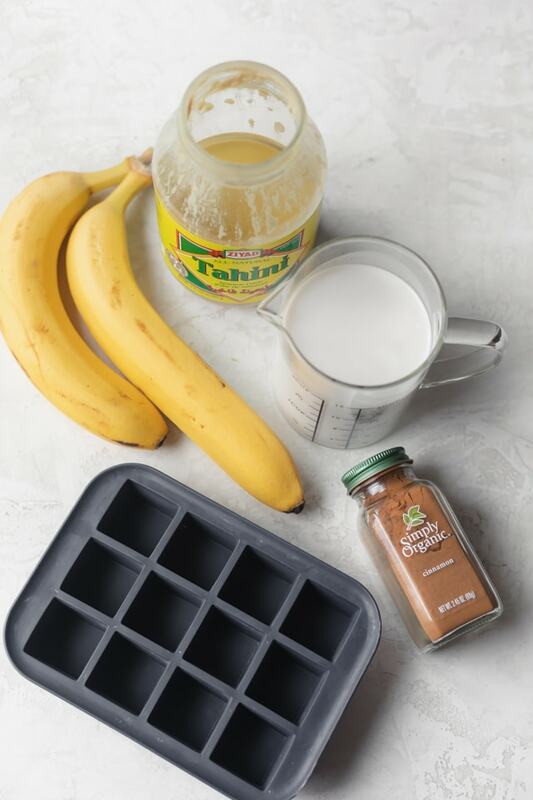 Almond Milk: To get the milkshake consistency, I freeze the almond milk into little cube trays. This is healthier than using ice cream, and still gives that same rich consistency and thick luscious texture. Cinnamon: This balances the nutty flavor of the tahini really well and gives it a sweet and earthy taste. I highly recommend it. You’ll notice it actually enhances the tahini flavor. Although this is essentially a 2 minute recipe, you’ll need to prepare in advance for freezing the almond milk. It needs about 4 hours to freeze so set it in the freezer the day before and you’ll be ready for milkshake making the next day! I prefer not to freeze all the almond milk but about half or three quarters of it. Keep the remaining liquid to help get the machine going in the blender for blending. Once the almond milk is frozen, you can start making the milkshake. Start by pouring the liquid almond milk into the blender, and then add the remaining ingredients. This allows the blender to run efficiently without getting stuck on the ice cubes. 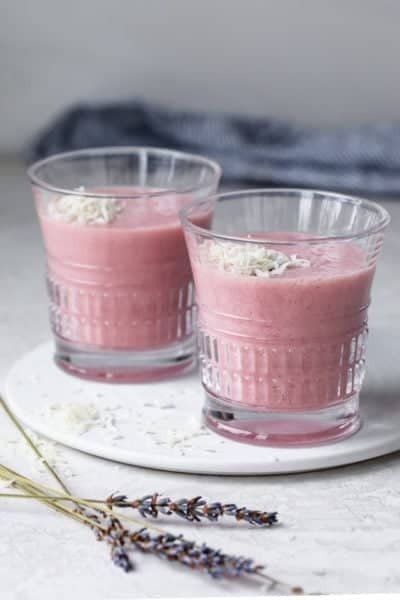 If you find that the blender is not running, try pushing the ingredients around or adding a tablespoon of milk at a time. When you pour it out, you’ll notice the consistency is different from a smoothie. It’s thicker and more decadent, and looks like there was ice cream in it. 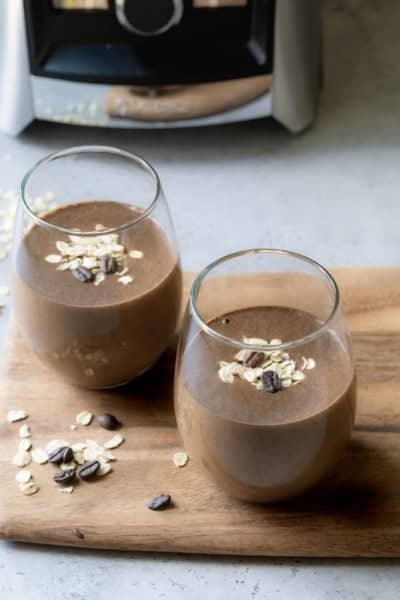 It’s rich, nutty and creamy and made with only four simple ingredients, so I hope you give it a try! 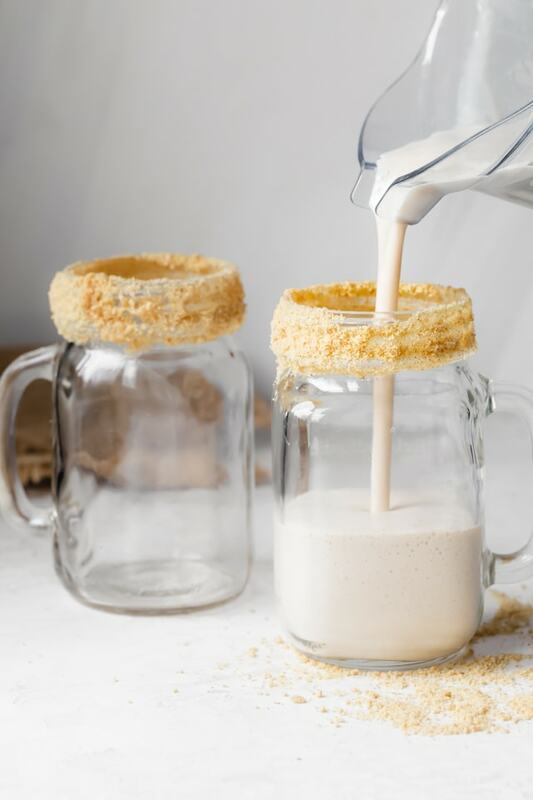 To make this an extra fun treat, I brush tahini on the rim of the milkshake glasses and coat it with crushed cookies. This is totally optional and so extra. 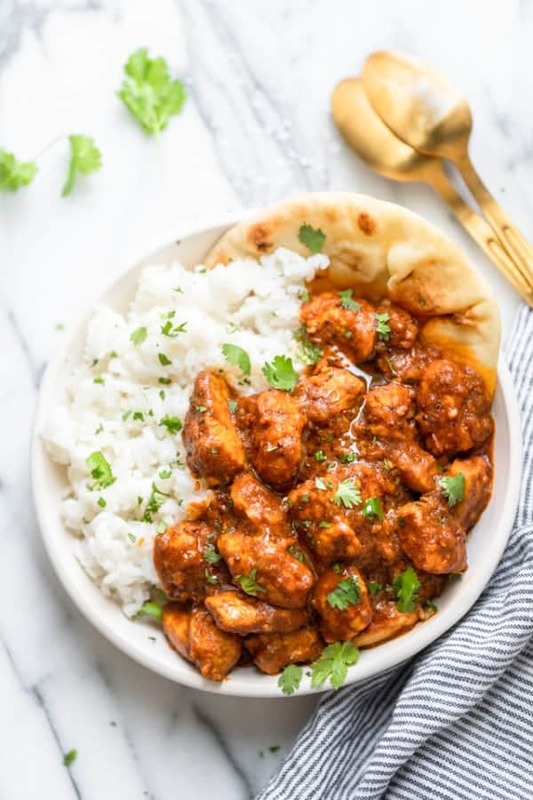 But if you’re serving it to a crowd or even your kids, it’s totally worth the effort! And if you really want to go extra, you’ll add a dollop of cool whip, strawberries and some chocolate sauce. 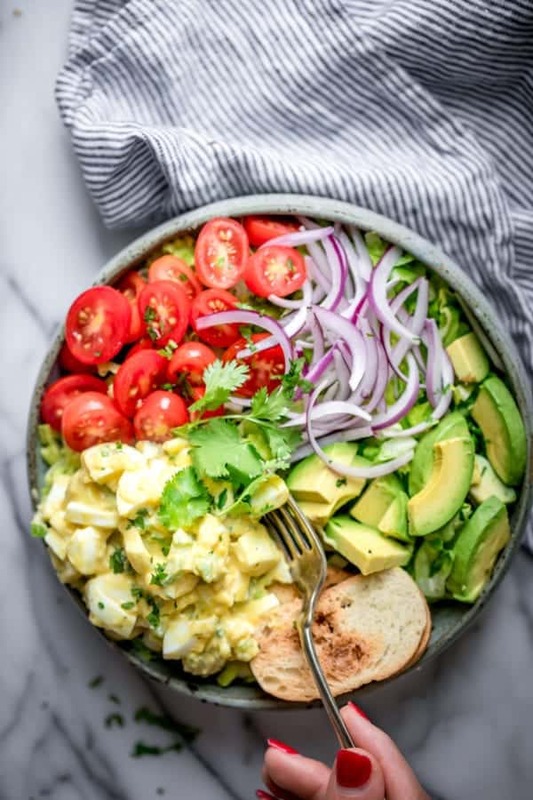 Like I said, totally extra, but totally yum! 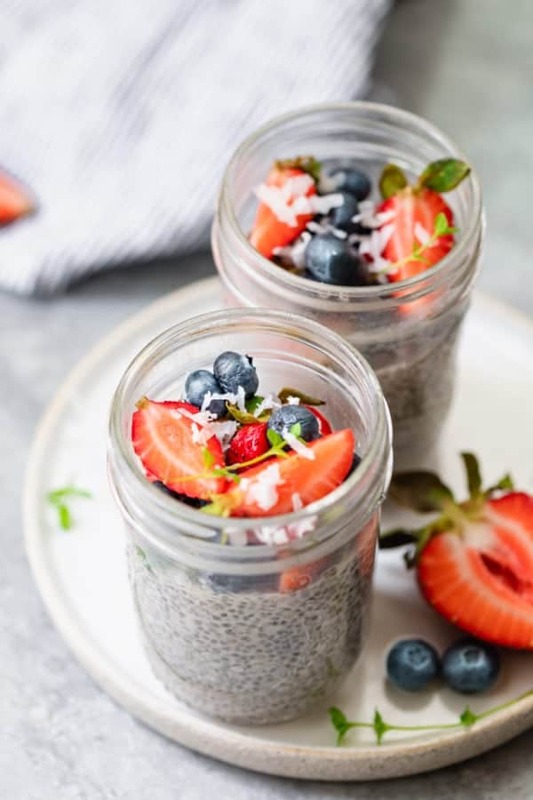 If you have a jar of tahini at home and wondering what other tahini recipes you can make with it, this is such an easy and simple one. 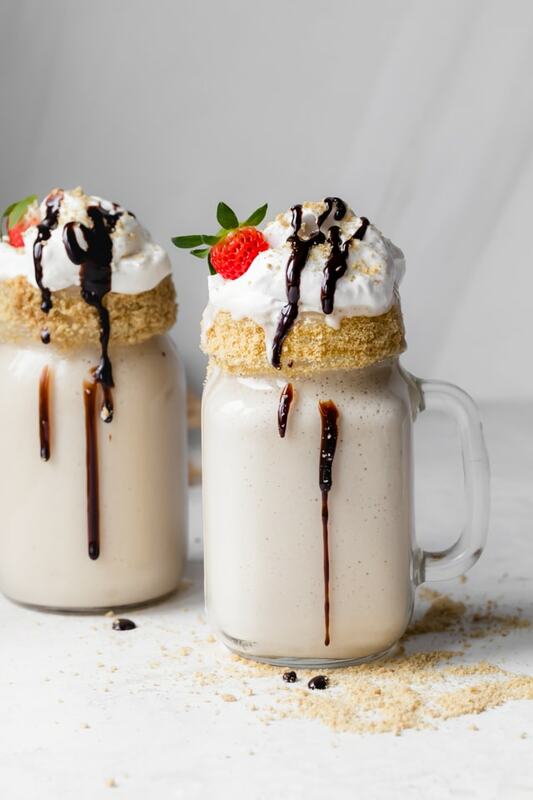 Tahini transforms an ordinary milkshake by giving it a rich and nutty flavor different from other nut butters. 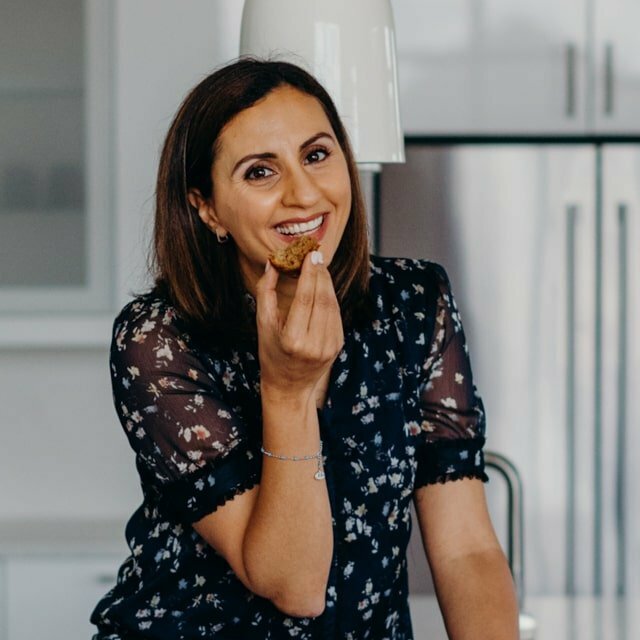 What I love about it is that it tastes like a Middle Eastern dessert, it’s naturally sweetened with the bananas and it’s totally vegan! 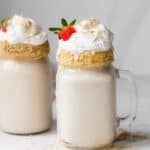 So when the weather starts getting warm, freeze some almond milk and whip out this cold and creamy milkshake. Add a dollop of cool whip, and top it with strawberries or cherries. 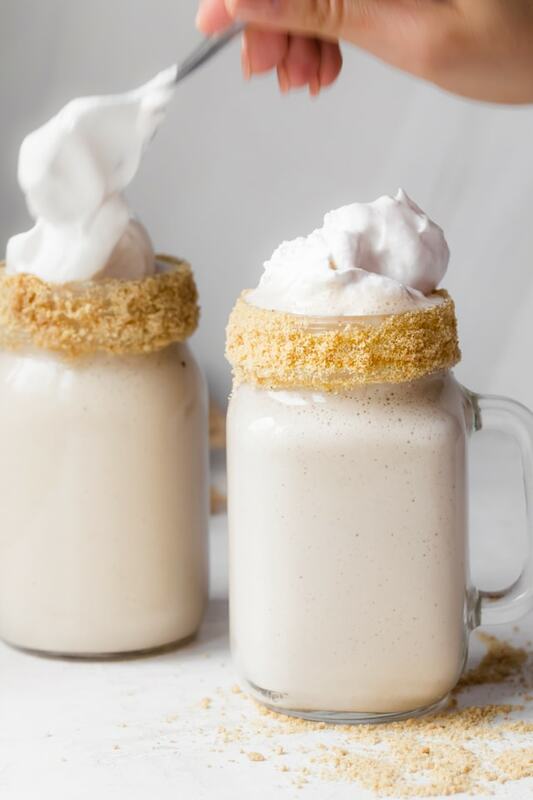 It’s the kind of milkshake you can actually have for breakfast, as a snack or dessert! If you’ve tried this healthy-ish feel good Tahini Milkshake recipe or any other recipe on FeelGoodFoodie, then don’t forget to rate the recipe and leave me a comment below! I would love to hear about your experience making it. And if you snapped some shots of it, share it with me on Instagram so I can repost on my stories! 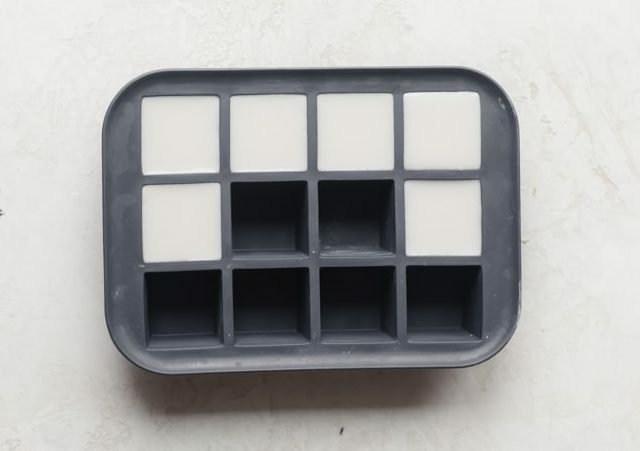 Pour 1.5 cups almondmilk into an empty ice-cube tray; freeze 4 hours or overnight. 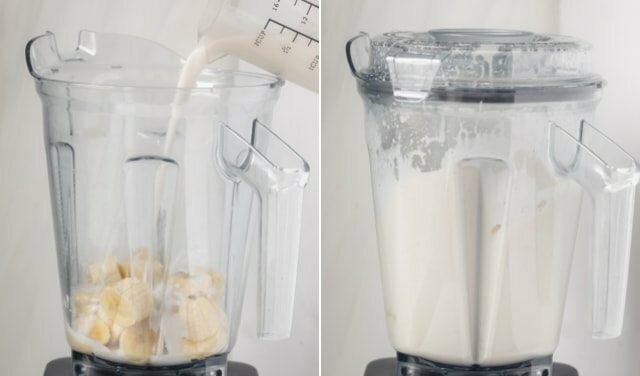 When ready to make the milkshake, pour the remaining half cup almond milk into a high speed blender, followed by the bananas, tahini and cinnamon. Blend until smooth and creamy, about 2 minutes. Divide evenly among two glasses and top with cool whip, crushed biscuits and maraschino cherry, if desired. Storage: Store any leftovers in an airtight mason jar. It will stay fresh for up to 24 hours. But ideally, it's best to consume immediately after making. Instead of almond milk, you can use any other plant-based milk to keep this vegan, or use regular or 2% milk. You can also use any type of yogurt you'd like. To replace the banana, I would highly recommend 2-3 dates. You can also replace it with other fruits like pear or mango. Equipment: I make my smoothies in my Vitamix. It has a "smoothie" button so it does all the work for me until the ingredients are well blended.